A new book tells the story of the Sikh Empire’s expansion and collapse through the medium of spectacular artworks. 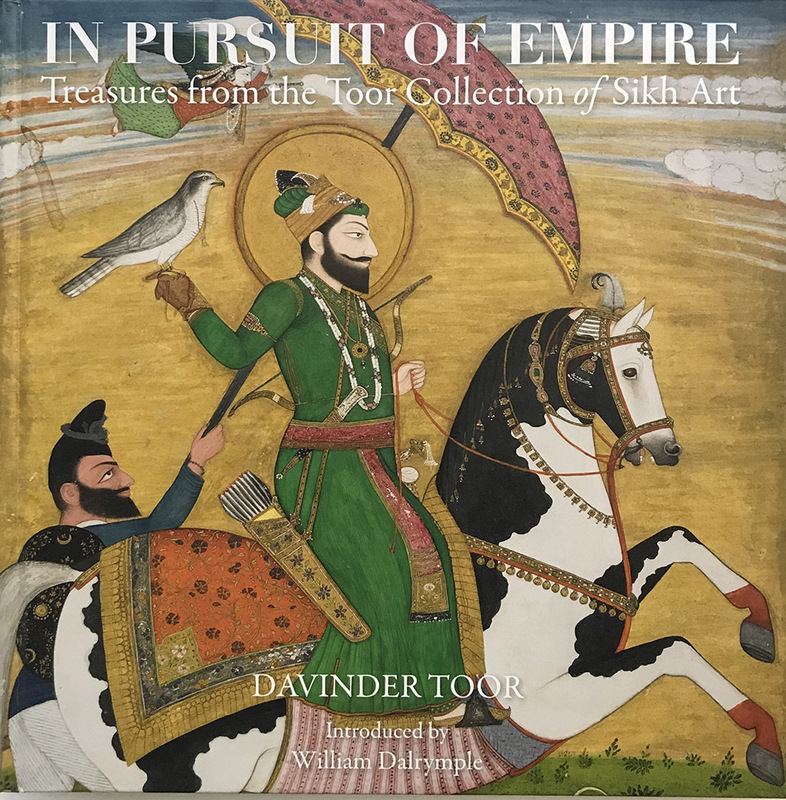 Davinder Toor, widely acknowledged as the world’s leading collector of Sikh art, shares the history of some of the most fascinating items in his own private collection in lavishly illustrated new book In Pursuit of Empire: Treasures from the Toor Collection of Sikh Art, to be published by Kashi House on 16 May 2019. The book tells the remarkable story of the Sikh Empire’s meteoric expansion in the late 18th century and its collapse half a century later, through a spectacular selection of over 100 rare and beautiful objects from the world's finest private collection of Sikh art which chronicles the time of the Sikh’s military might. With an introduction by acclaimed writer and historian, William Dalrymple, this elegantly designed and lavishly illustrated coffee-table book combines stunning imagery, in-depth research and intriguing insights from this fascinating period, as well as featuring previously unpublished paintings and vintage photographs from the Toor Collection. Ranging from the House of Nanak, 1469-1708, to the 1900s, some of the many beautiful items featured includes Colonel James Skinner’s Tazkirat Al-Umara (Biographies of the Nobles). The text is by James Skinner, copies by Muhammad Bakhsh, Lahore, Punjab, dated 16 Muharram AH 1252 (29 April 1836 CE). The manuscript is on cream-coloured burnished paper, 245 folios (including fly-leaves), each text folio with 10-12 lines of flowing black Persian Nasta’liq and 39 full-page contemporaneous portraits throughout the text executed in colours and gold, each identified in black Persian Nasta’liq and later pencil in the lower margin, in brown morocco set with gold stamped and polychrome boards, doublures with gold central medallions, in brocade slipcase. Then there’s the Sword of Raja Fateh Singh Ahluwalia, made in a Punjab workshop, c. 1830-35 with a pattern-welded steel blade with steel hilt overlaid with gold. It’s inscribed on the inner surface of the knuckle guard in gold Gurmukhi: ‘(May the) Immortal One protect Fateh Singh of (Ahlu)valia.’ Date 1(8)36/6 CE. Or how about an albumen print of a Sikh trooper of the 15th Punjab Infantry after the sacking of Kaisarbagh Palace, by Felice Beato (1832-1909), Lucknow, March or April 1858. Author Davinder Toor is a leading figure among a new generation of Sikh art collectors. He developed an early passion for collecting at the age of 17, which led him to sign up as a volunteer for the Victoria & Albert Museum’s ground-breaking exhibition The Arts of the Sikh Kingdoms in 1999. He has since loaned several items from his collection to the Victoria & Albert Museum for the spectacular global exhibition Maharaja: The Splendour of India’s Royal Courts.